That’s right, the The Country Music Antichrist, aka President and CEO of the Big Machine Label Group Scott Borchetta is in talks to become the newest mentor on the singing reality show competition American Idol. He would be replacing Randy “Dog” Jackson—the only member of the show’s original cast aside from host Ryan Seacrest who’s been on the show all 13 seasons. Jackson was a judge for the first 12 seasons, and then moved into Jimmy Iovine’s role as the show’s “mentor” for season 13 before announcing he would exit the show entirely for season 14. Last year’s judges Keith Urban, Jennifer Lopez, and Harry Connick Jr. are all slated to return this upcoming season. As a respected talent evaluator in the industry, and one that lately has shown more interest in coming out of the shadows and becoming more of a public personality, Borchetta as American Idol‘s mentor makes savvy sense for both parties. Borchetta was responsible for discovering Taylor Swift, the biggest pop star in the world right now, and Big Machine properties also have under contract Florida Georgia Line, Brantley Gilbert, Rascal Flatts, The Band Perry, Tim McGraw, and now Reba McEntire under the new NASH Icon joint venture with Cumulus Media. Scott Borchetta is arguably the most powerful man on Music Row in Nashville, and now he’ll be taking his name international if the reports from US Weekly are correct. If consummated, it would make Borchetta not just one of the most powerful label owners in music, but also one of the most visible, bolstering both Big Machine’s and Scott’s personal brands. Reports from late October saying the Big Machine Label Group was up for sale were later denied by Borchetta, but remaining one of music’s few major independent labels, sale rumors continue to linger. Scott’s partnership with American Idol could also facilitate more collaboration between the reality singing competition and Big Machine artists in live performances and song choices. Scott Borchetta was affectionately coined the “Country Music Antichrist” by Saving Country Music in 2009 for his stretching of the term “country” with artists like Taylor Swift. 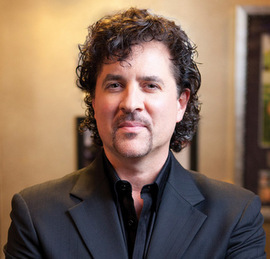 However unlike many of Music Row’s label heads, Borchetta is known for extending more creative freedom to his artists. Once again Scott Borchetta reveals his desires to be much more than simply a record label head, but a powerful and influential entertainment mogul of the recording industry—a desire that could continue to send reverberations throughout the country music industry. Honestly, he’d be great at this. He’s not one to mince words, and he’s kind of a ham, so he’d work well on camera I think. Only big request is: he should rethink the facial hair situation. Hmm…this move won’t , in any way , be a conflict of interest . Anyway I’m ” Voiced-Out” , let alone Idol all the other dog and pony shows . It seems that the biggest concern with mainstream music today is the writing …the poorly written , poorly crafted lyric and the lack of imagination or original ideas . ” This song passes Songwriting Standards as set by a panel of WRITERS WHO KNOW HOW TO DO IT ( Paul Simon , James Taylor ,, Hal David , Bob DiPiero , Kris , Joni Mitchell and , of course , countless others who have set standards most newer writers may be unaware of ? Your idea just put every television executive to sleep, unfortunately. Well …..THAT’S a start ! This is actually an idea that I proposed some time ago, and it might work well for country music and hip-hop (where the audiences care about songwriting), but not for any other genre. This WAS a show — it was called Platinum Hit and aired on Bravo, and although it was a fascinating look into the professional songwriting world, it flopped. Still, it did yield one of the best songs I own — called “Where I Need to Be” by Johnny Marnell. This was written for a challenge in which the competitors had to write the perfect road trip song. It’s awesome, and I can’t believe it has only 1,712 views! “I’ll just let those tire tracks talk dirt behind my back” will always be one of my favorite lyrics. I’m sure it was an interesting show . Very nice tune…..John Mayer-ish. As to the last quote I wonder if mainstream audiences can’t have their attention held for a two hour show anymore? This is why you get rowdy drunken arena country shows. People get bored and start fights. I think the last quote holds true about young audiences. I’ve been to many shows with different demographics – everything from Taylor Swift, One Direction, Luke Bryan, James Taylor, and Paul McCartney. I felt the shows with the younger demographic like Luke Bryan had obvious highs and lows – the few hit songs that people wanted to hear mixed in with filler material from the new album. And then the shows with long time older fans like Paul McCartney had their eyes glued to the stage the entire time. Yes, it’s different with the once in a lifetime chance at seeing a legend like McCartney and he also has more hours worth of material than people have time. But I predict the newer acts that don’t market themselves right and release well-written, “timeless” music are only setting themselves up for decline in their later years. I couldn’t care less. I think I’ve watched maybe one episode, back in about the first season, and watched the guy doing “Pants on the ground” on YouTube. If they ever put together a full season’s worth of outtakes from the auditions I might check it out. How is this show still on the air? I keep reading how ratings are in the tank every year. Very good question. Apparently because the ratings are still better than anything they could replace it with. Once that changes, I’m sure it’s doomed. What befuddles me from the outside looking in is how they basically do the same thing every year, and hope beyond hope that the ship will right itself. Until “American Idol” or “The Voice” legitimately launch a star like American Idol did in its first few seasons, people are going to stop connecting with it as a legitimate way to vet and launch talent. That was the reason people watched early on. That and for Simon Cowell because he was willing to tell it like it is. People liked the villain. But his new rival show “The ‘X’ Factor” bombed and got canceled. so what do I know. It’s a good medium for product placement, so even if the ratings are ho hum, they can still make revenue. The interesting thing is, as much as “The Voice” has been ineffective in producing a breakout talent from any of their finalists fro any given season to date…………the show has probably held up as long as it has because of how successfully it has elevated the careers of many of its own coaches. The only problem is, that in itself is not sustainable. Blake Shelton’s latest album had the weakest opening sales week of all his “Voice”-era releases to date. It was just a matter of time before his obvious commercial boost from “The Voice” plateaued, and now we are witnessing the beginning of the downturn. I actually think it’s likely Blake Shelton’s record-breaking streak (SoundScan era) of #1 singles will be snapped in the latter half of 2015 after “Lonely Tonight” peaks at #1. Especially if he chooses to release “Buzzin'” as a single. So far, the show’s success has been contingent on celebrity soap opera antics and banter more than anything, as well as their own self-aggrandizement. And it has worked and paid immense dividends before. But Maroon 5 and Blake Shelton aren’t going to dominate the charts forever, and with Gwen Stefani and Shakira thus far failing to translate their tenure on the program as coaches to blockbuster commercial success, it will require retooling if they have any scrap of hope at longevity outside this generation. He’s come a long ways! Who knew that the world’s biggest sellout could stoop even lower?! Good find, I remember that now. Will be fun to revisit those quotes if/when this deal is made official. Kind of like when Jason Aldean said awards don’t matter. As Nate suggested, the idea of Borchetta on American Idol is rather ironic given his blunt dismissal of the show less than five years ago.